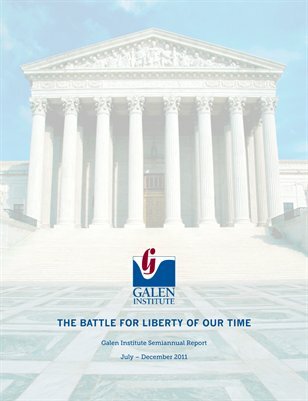 The Galen Institute is a non-profit, Section 501(c)(3) public policy research organization devoted to advancing ideas and policies that would create a vibrant, patient-centered health sector. It promotes public debate and education about proposals that support individual freedom, consumer choice, competition, and innovation in the health sector. It focuses on individual responsibility and control over health care and health insurance, lower costs through competition, and a strong safety net for vulnerable populations. Galen’s policies will promote continued medical innovation, advances in personalized medicine, and expanded access to health care and coverage in a 21st century Information Age economy. 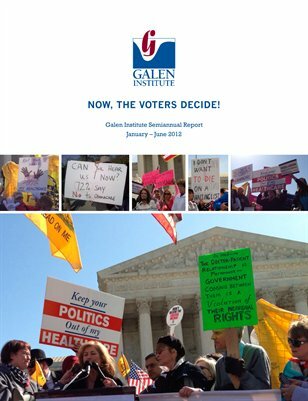 A semiannual report of Galen Institute's health policy activities for the first six months of 2012. 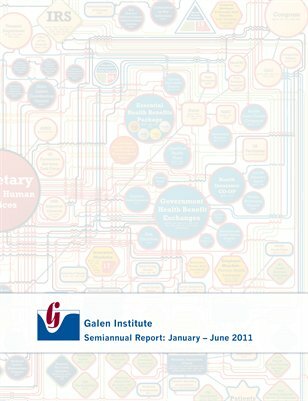 A semiannual report of Galen Institute's health policy activities for the first six months of 2011. 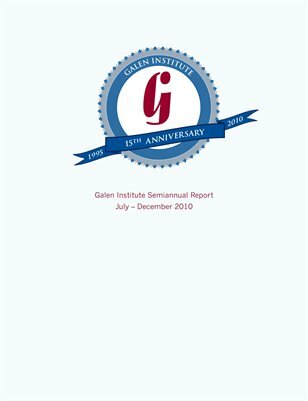 A semiannual report of Galen Institute's health policy activities for the last six months of 2010.